On 12 February 1941 Lawrence Smith was told that he would not be required by the RAF Volunteer Reserve at that time, but would be called up later. 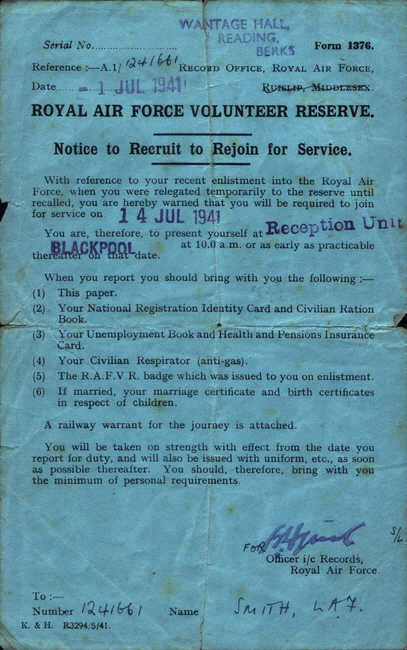 The day came on 1 July 1941, when he was given two weeks notice to report to the Reception Unit at Blackpool. By Christmas he was with No.215 Squadron in India.